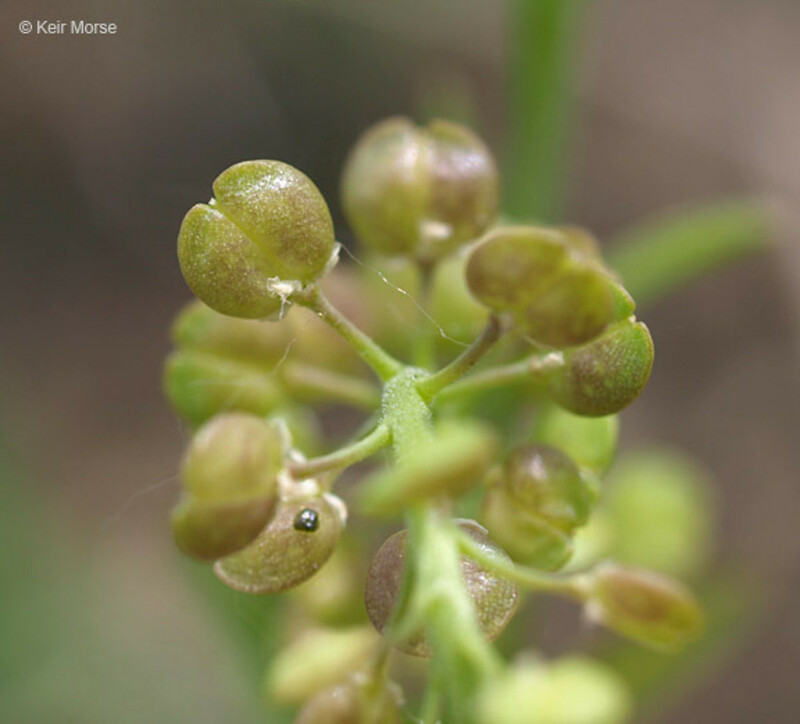 Prairie pepperweed is native to North America, but has undergone major range expansion and is now considered a noxious weed in many states. It has also been introduced to Europe and Asia. 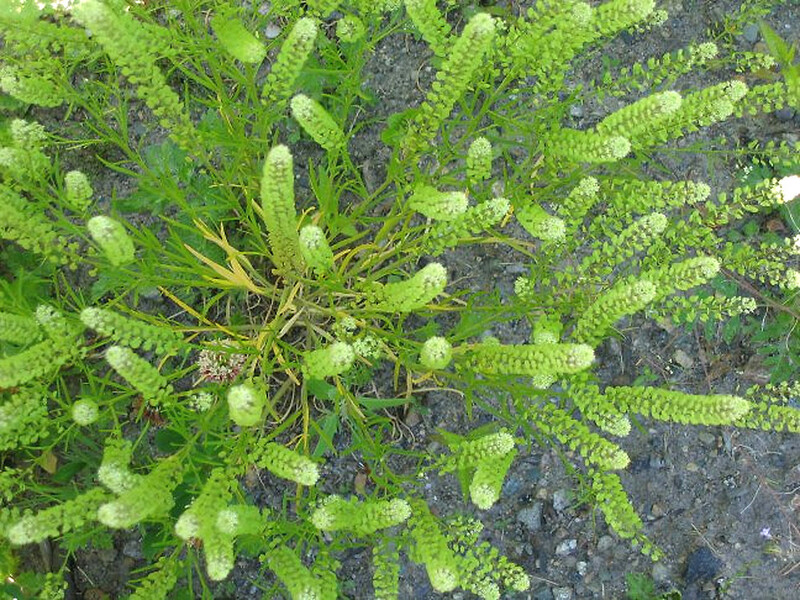 It is considered non-native in New England, where it is widespread in fields, roadsides, railroads and waste areas. 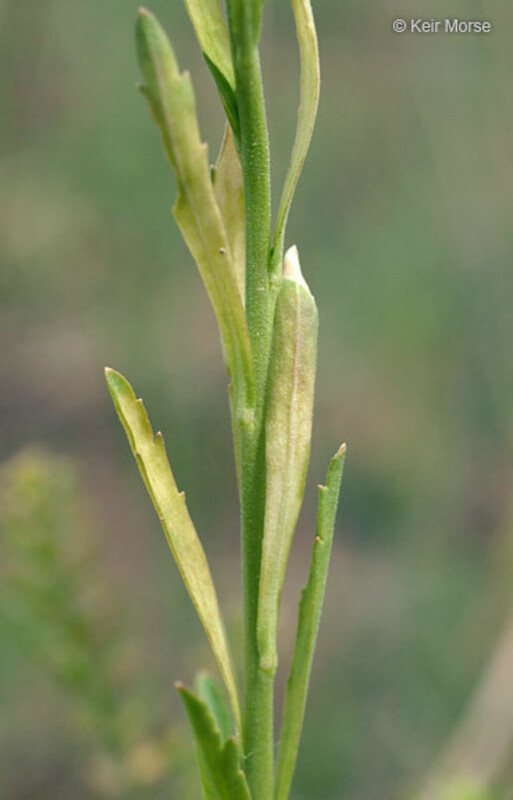 racemes relatively sparsely flowered, with 6–10 fruits per cm, silicles elliptic, and plants foul-scented (vs. L. densiflorum, with racemes densely flowered, with 9–18 fruits per cm, silicles obovate to broad-obovate, and plants +/- inodorous). 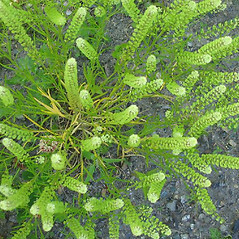 Our variety is Lepidium densiflorum Schrad. var. 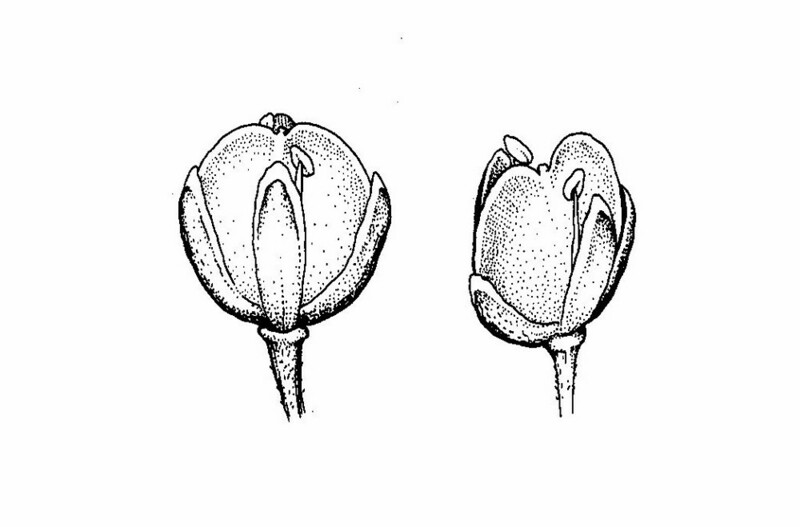 densiflorum. 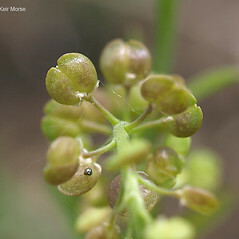 prairie pepperweed. 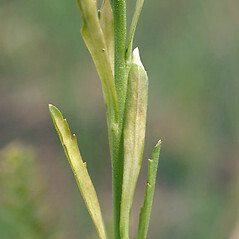 Lepidium densiflorum Schrad. var. 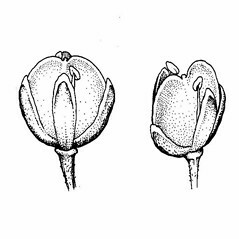 typicum Thellung; L. neglectum Thellung • CT, MA, ME, NH, RI, VT. Fields, roadsides, railroads, waste areas.